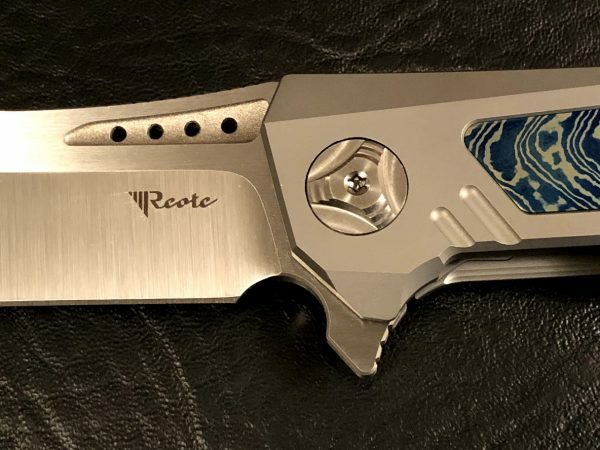 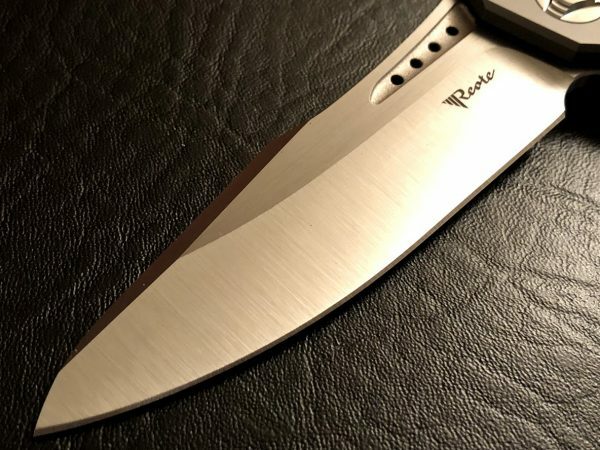 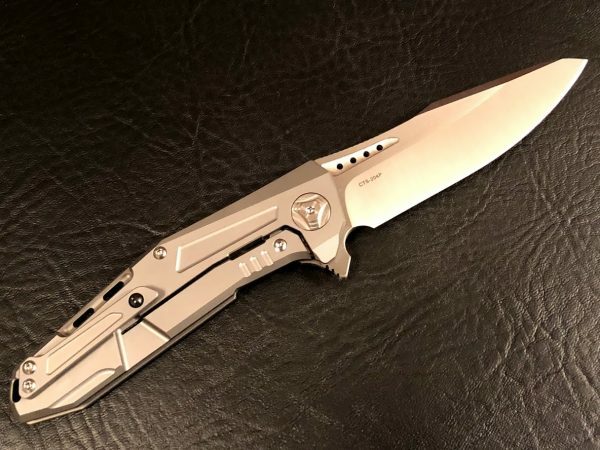 This is the Reate Knives K-3 Drop-Point. 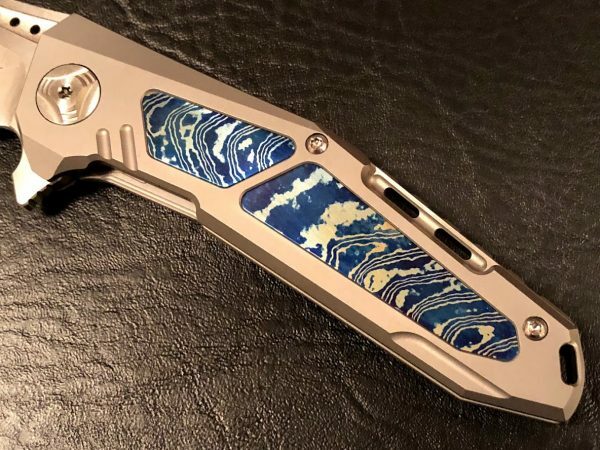 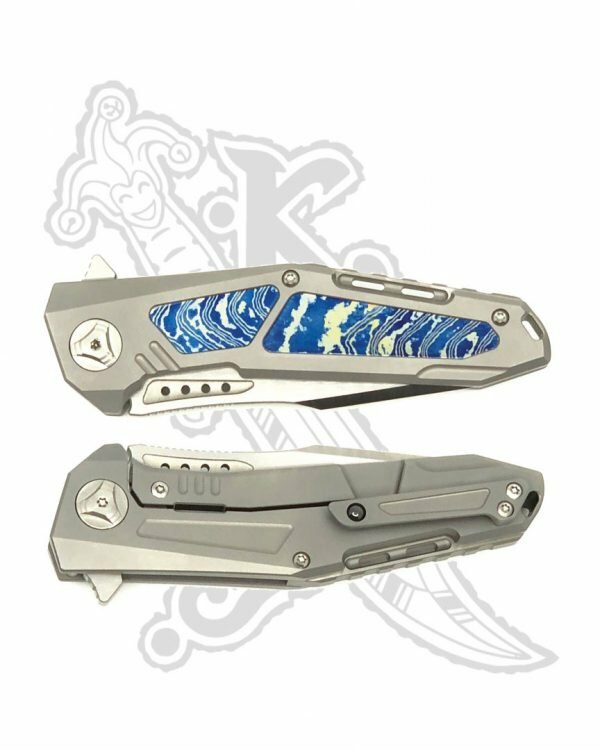 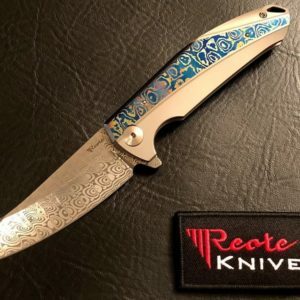 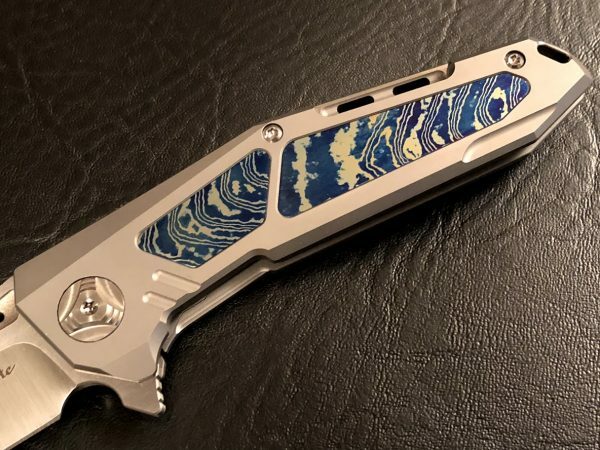 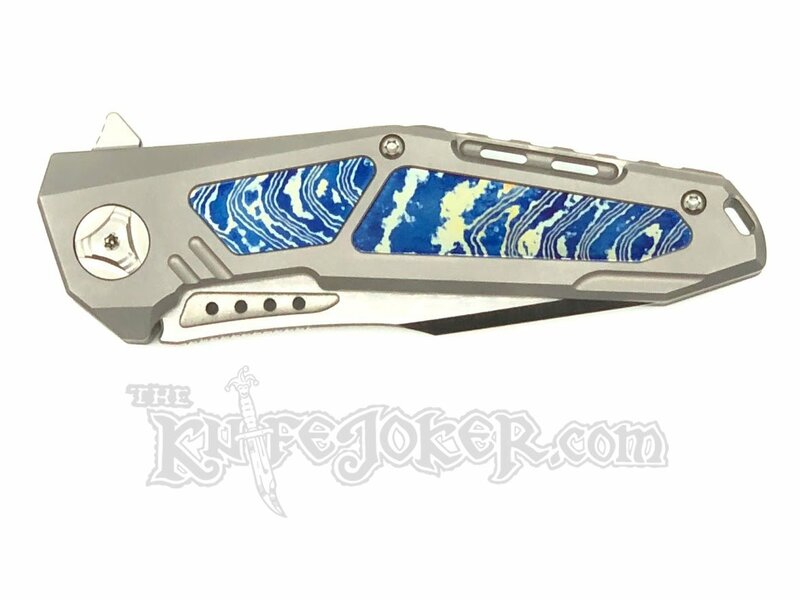 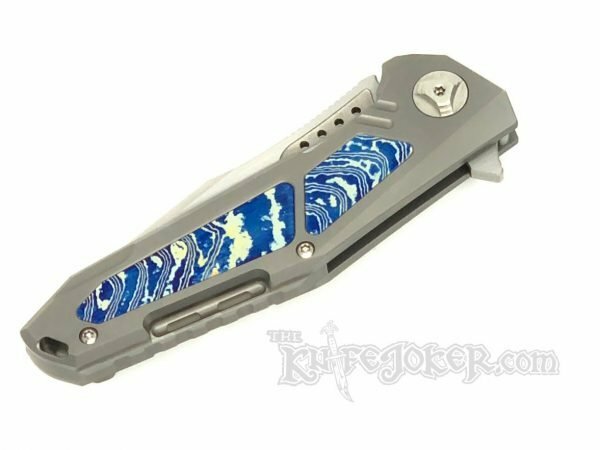 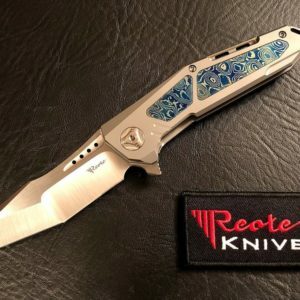 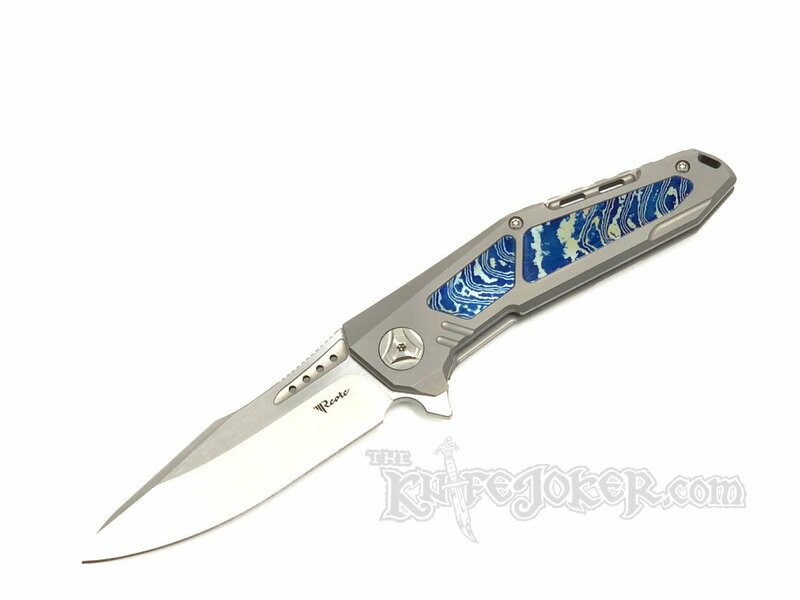 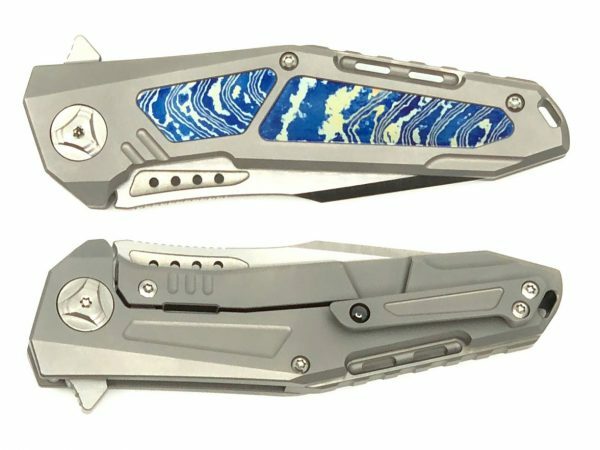 This knife has blue Mokuti inserts in the handle. 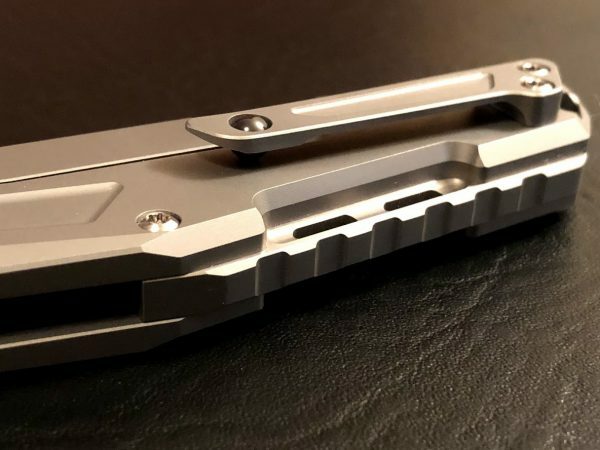 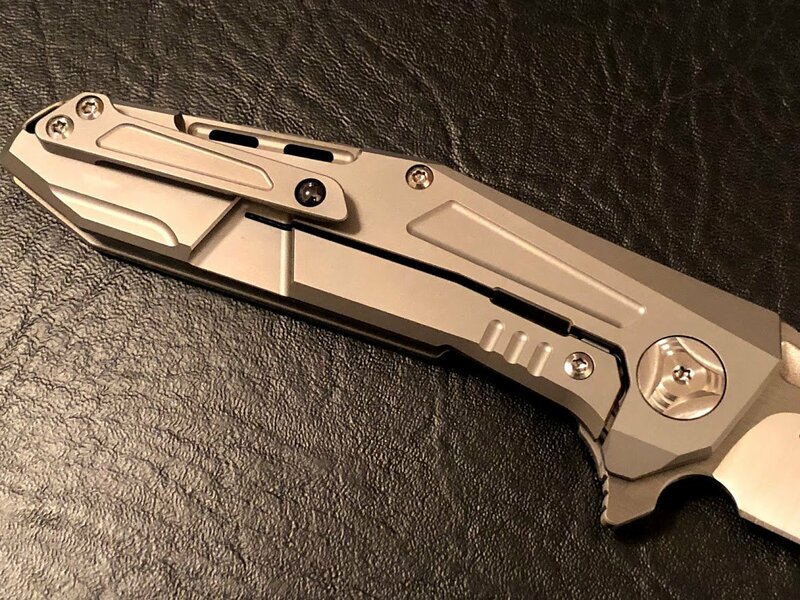 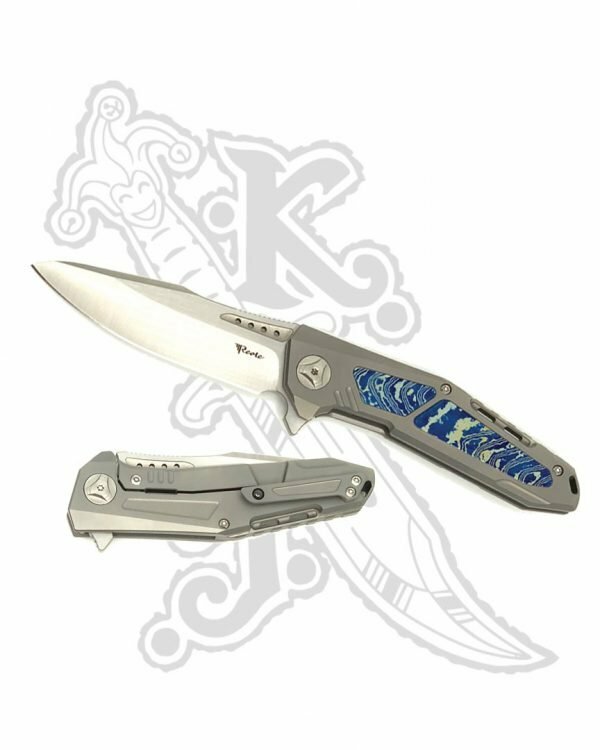 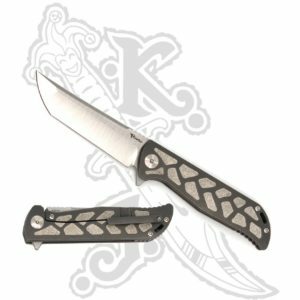 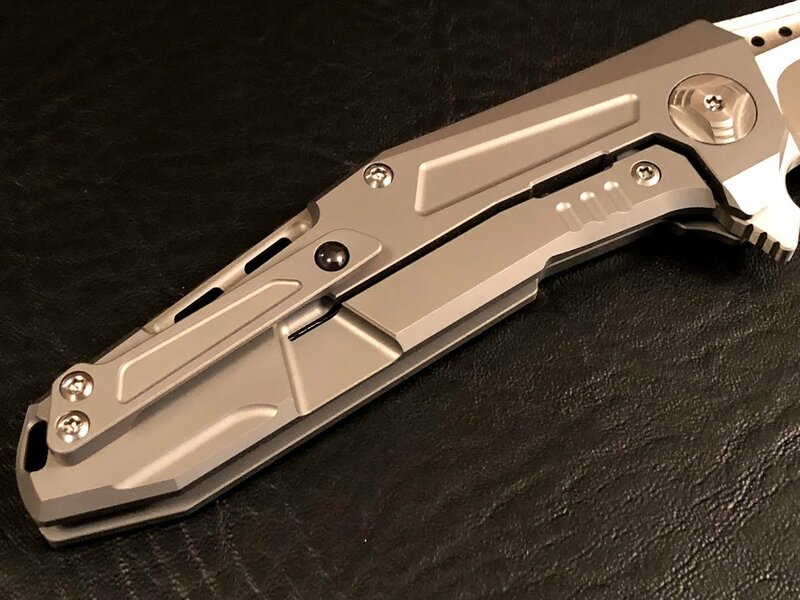 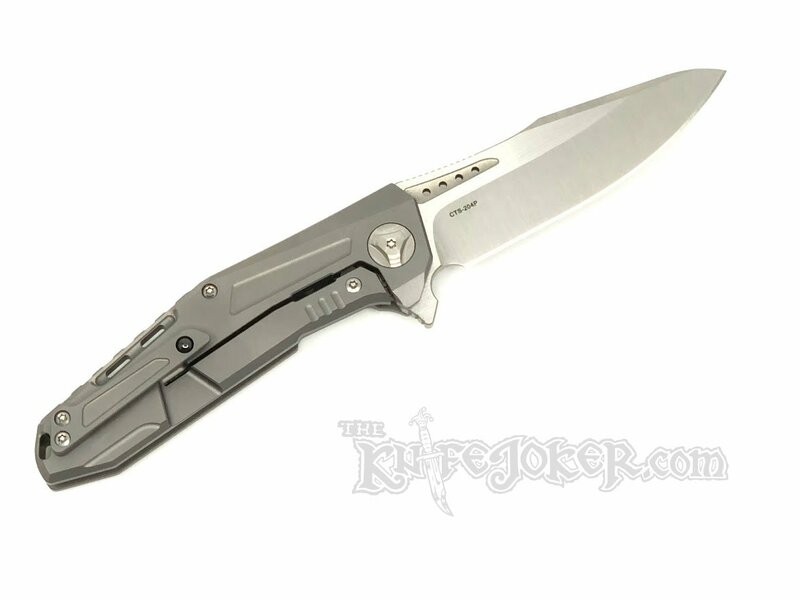 This knife is a full Titanium frame lock flipper with a steel lock bar insert. The blade rides on double rows of ceramic ball bearings. 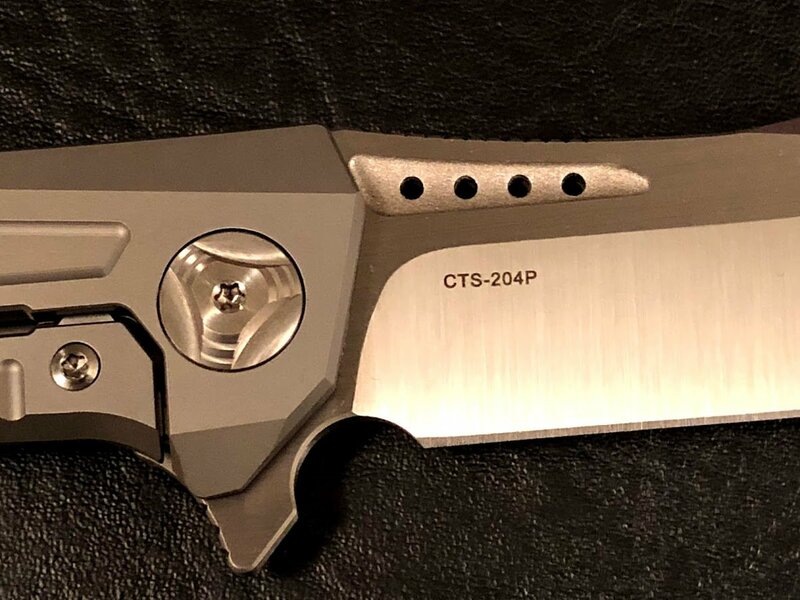 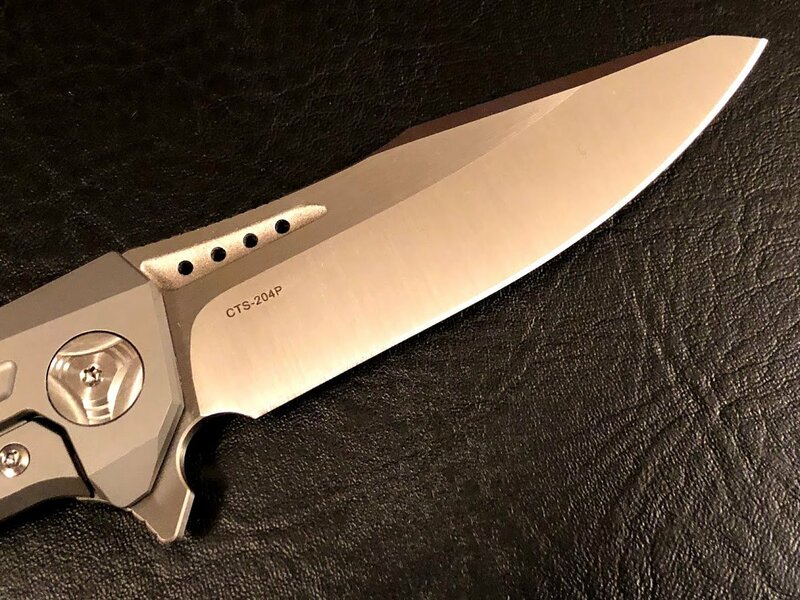 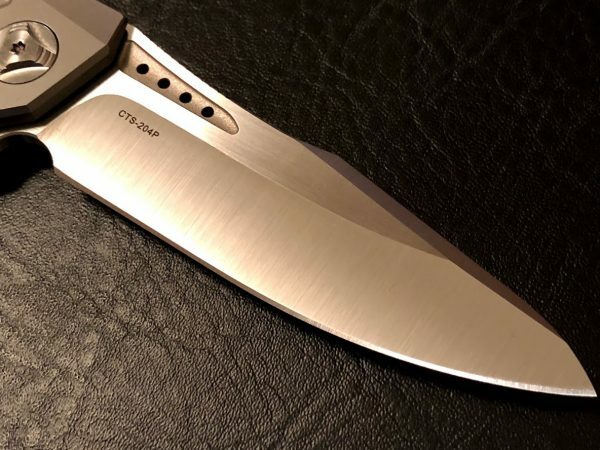 The blade itself is made from satin CTS-204P. 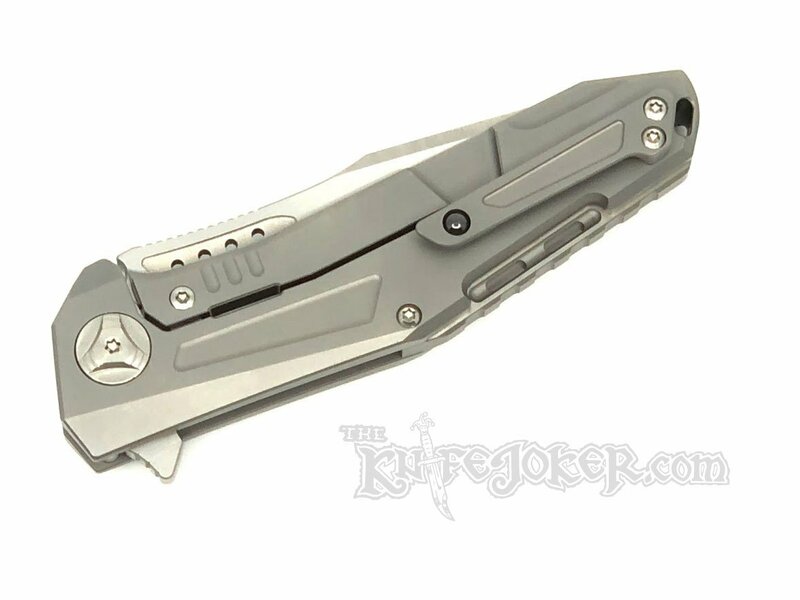 The back spacer, pivot, screws, clip, and scales are all Titanium. 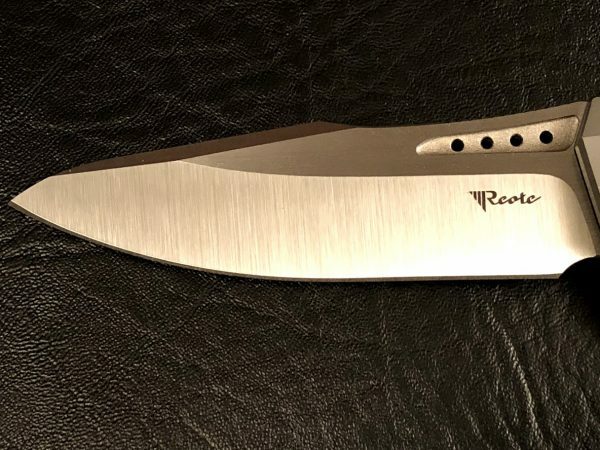 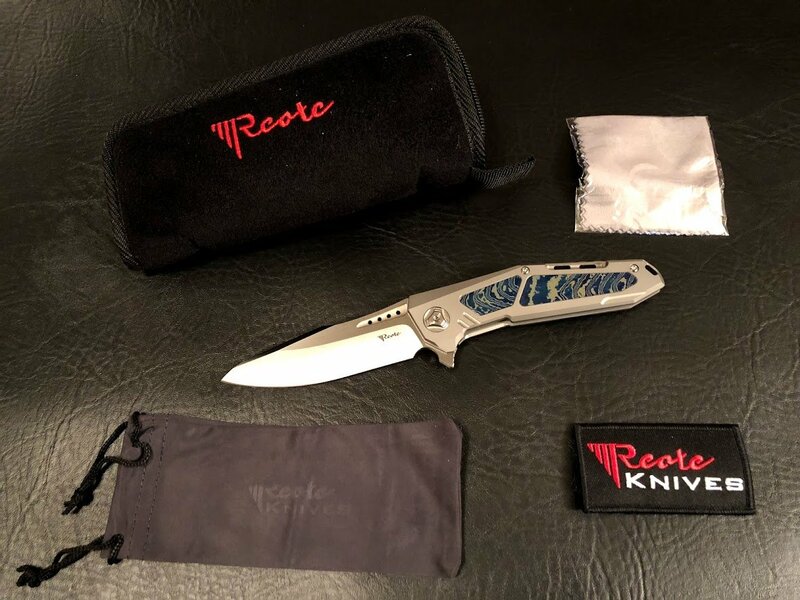 This knife comes with a Reate Knives padded pouch, knife bag, cleaning cloth, extra hardware, and a Reate Knives badge.